Off Center is a professionally designed, 65-seat black box theater, accessible, intimate, and a home for cutting-edge theatre, since 2010...a unique performance venue just minutes from the heart of Burlington. Off Center is a non-profit theater created for productions by local and visiting theater artists. 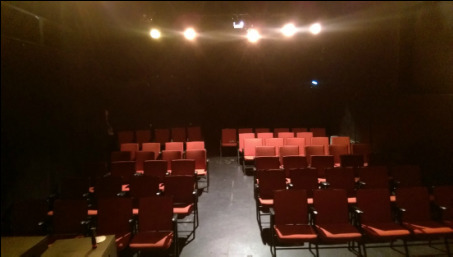 The concept of a dedicated, professional, yet reasonably priced theater space is a unique one in the city of Burlington, Vermont. Off Center plays host to not only theatrical productions, including full productions, staged readings and new works, but also musical performance and classes in theater arts. Whether you’re a first-time audience member or have been coming to Off Center for years, we hope you come in and enjoy a show, and that you’ll spread the word, come back, and/or get involved.